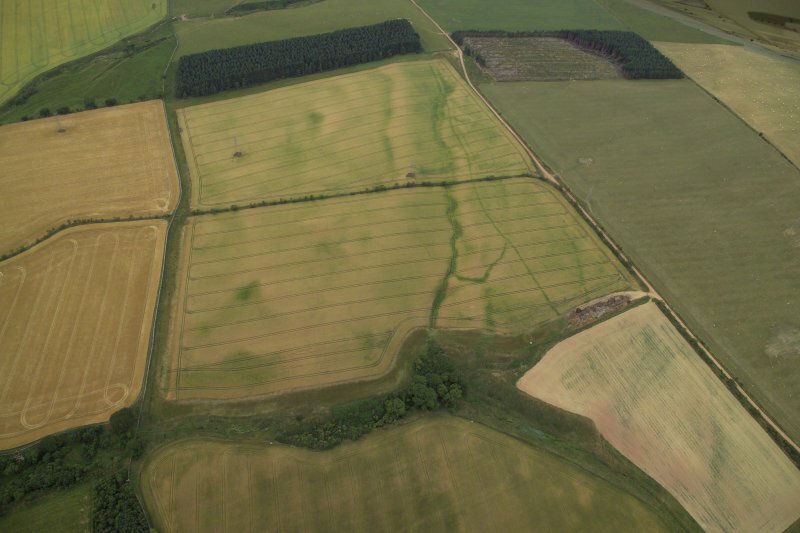 Oblique aerial view of the cropmarks of the field boundary, taken from the SSW. 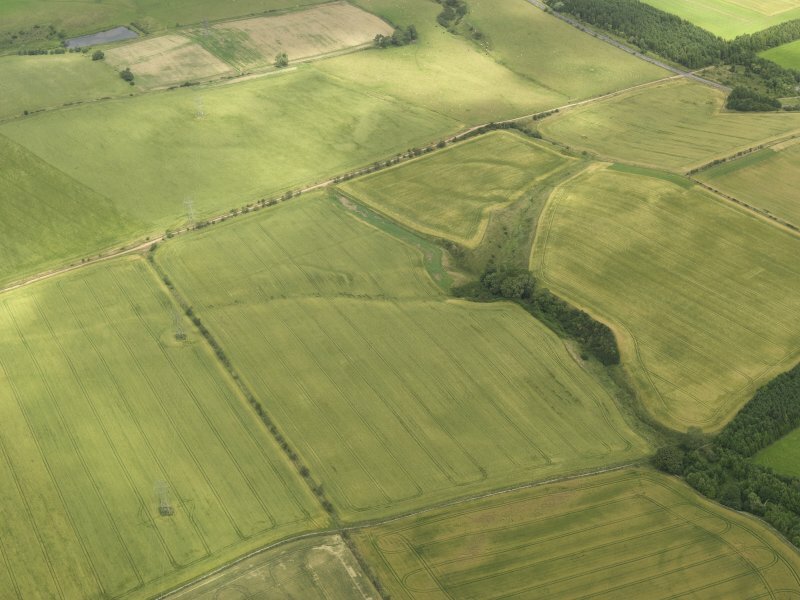 General oblique aerial view centred on the cropmarks of the field boundary, taken from the ESE. 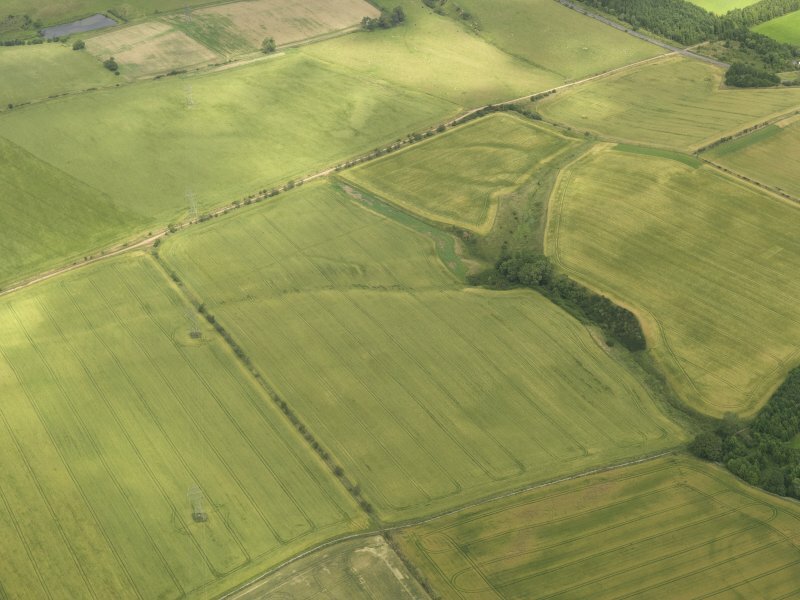 This field boundary, which runs from NT 5351 3095 to NT 5301 3089 and is situated to the NW of the remains of Holydean Castle, has been recorded as cropmarks on oblique aerial photography (RCAHMSAP 2006). In places in comprises two ditches running roughly parallel.